Did it ever occur to you, as an employee, you applied for a loan and the loan agent asked that you submit a salary verification letter? Yes, they always do. All banks need this kind of document to attest that you are capable of paying for the loan you are to apply. The good thing is, you may not be the one to prepare such letter. When preparing for a salary verification letter, the concern does not only focus on the manager or the HR. It should also be a concern for the one requesting it—the employee. 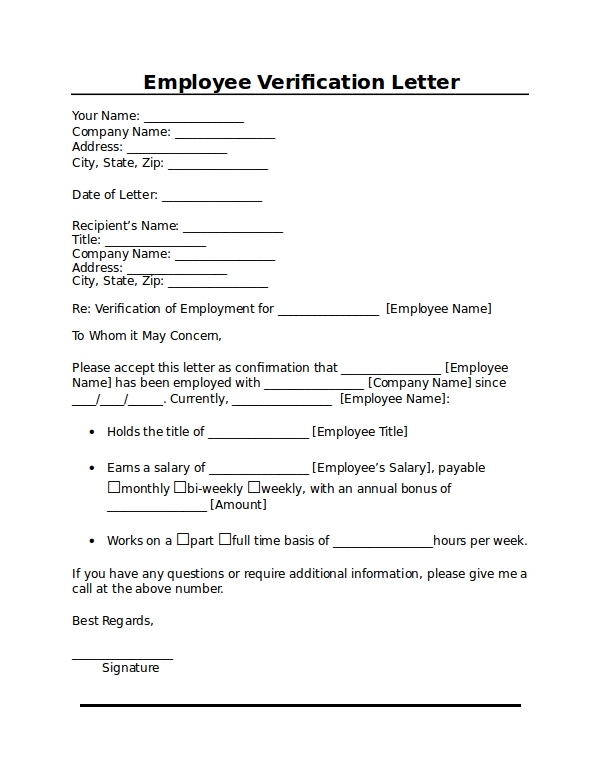 Although, it is the job of the HR or the manager to furnish you with such letter, the employee may just provide the manager with a template, and just let him fill in the necessary information – names, salary, signature. Here is what a salary verification looks like. 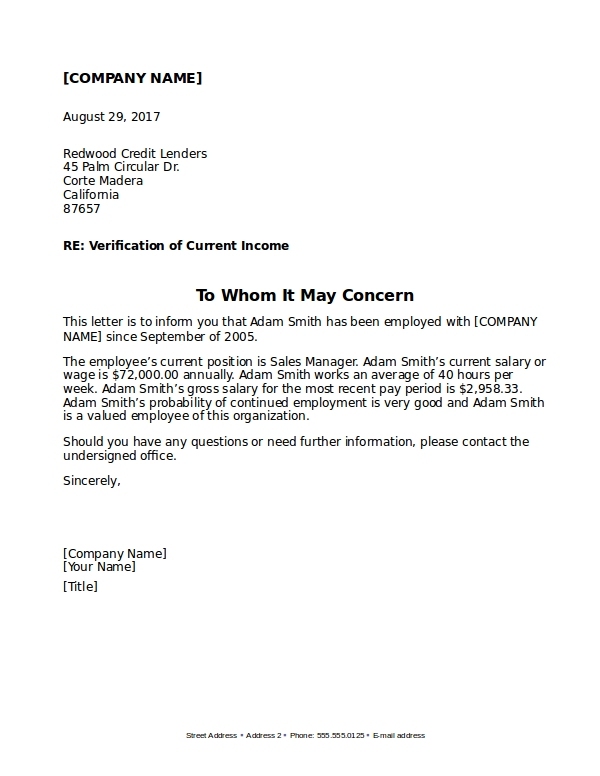 What Exactly Is a Salary Verification Letter? 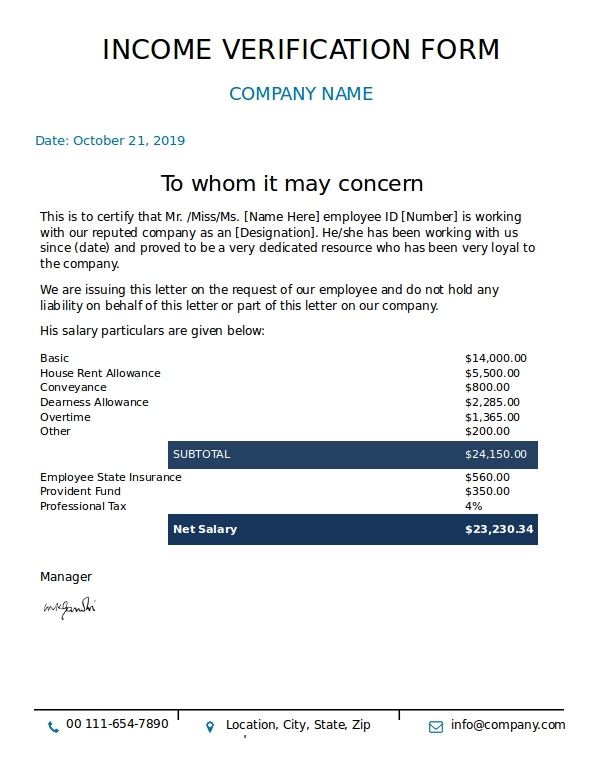 A salary verification letter is a documentation letter that shows the employee’s relationship with the company, usually by stating the employee’s salary. In some sense, it can be considered as a proof of income. Whereas a proof of income can be too technical sounding for a letter—imagine a document with list of numbers and some scary terms—a salary verification letter on the other hand has that impression that it is just like any other plain letter. But they are actually one and the same thing. Some may even call it income verification letter. 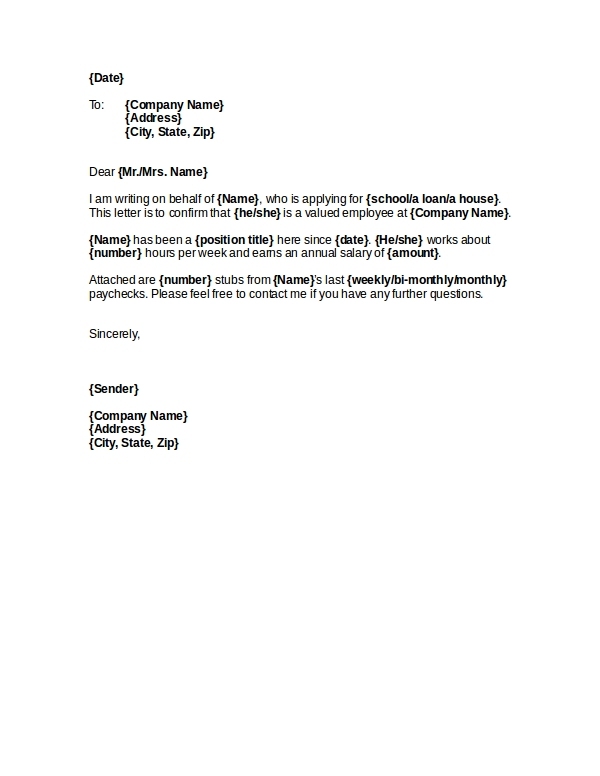 Salary verification letters are usually written or issued by the managers of your company. 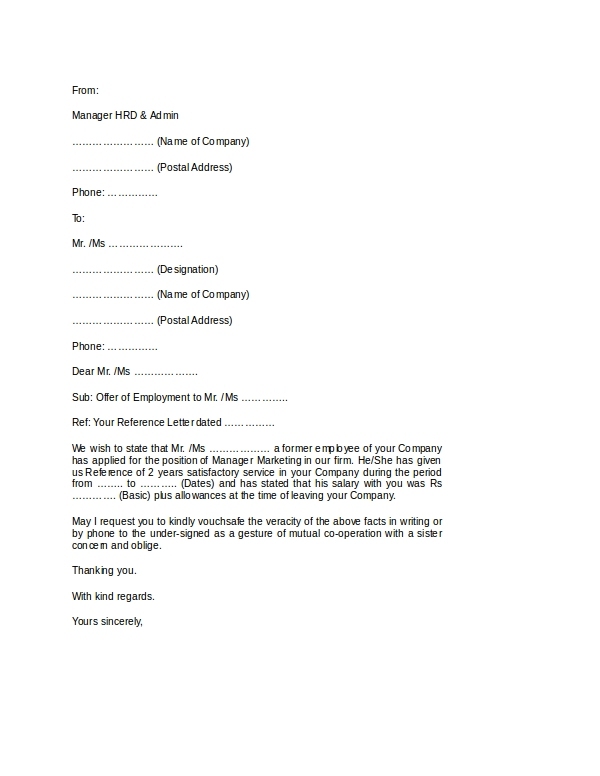 So if you are an employee, writing such letter is not your concern but the company’s. All you need to do is request for one, and the company will provide you with it. And when you do, it can be implied you are applying for a car or a house loan, which is neither bad nor good. It is just some form of proceedings every time a salary verification letter is requested. But regardless whether an employee plans to apply for a loan or not, he still has the right to request for a salary verification letter. And it can be for any personal reasons other than applying for a loan. The company, on the other hand, does not make this as a system to issue or provide every employee a salary verification letter. Unlike a company code of conduct in which every employee is issued upon, the salary verification letter is a per-request-basis provision. So as an employee, requesting such letter should be your initiative. If you happen to be a manager, and an employee was asking for one, here are some considerations when writing a salary verification letter. Basically, a salary verification letter should state the salary of the employee, other than the given employment verification. In some cases when an employee requests only for an employment verification letter, then there may not be a need to state any salary. Professional. It is recommended that one should use a business letter format when composing or writing a salary verification letter. This gives that professional edge than if you only write in a plain letter format. The letter is not just about the employee asking for some loan applications, it also says something about the company. There is no specific correct format. But at least the letter should look formal, as suggested—in business style. Make sure to include the company logo. Be sure to add your contact information. This works as a double verification from the part of the loan institution. So make sure you can be reached, either by phone or an email. Brief. Make it concise. In a salary verification letter, you may not need to mention unnecessary stories about the employee. Just state that a certain so-and-so is employed in your company, and you may indicate the employee’s salary. Complete. Short but complete. You try to make your letter as concise as possible, but make sure it contains all the details. Of course you state the complete name of the employee, job title, years of stay in the company, salary, but only those important details. Unless requested by the employee, you may refrain from doing so. 1. The moment one needs a salary verification letter, there is already one saved in the archive in most companies a template for generating such letter. All that an HR staff does, in cases when a manager is not the one prepping the letter, is edit the letter, input the information of the employee requesting for the said letter. 2. In cases where a company has no template at all for generating a salary verification letter, then the HR staff or the manager might as well start from scratch. Use any business letter template. Use the company logo and place it on top of the document; this can make it look more professional and official. From there, you can start off by introducing your information as the sender of the letter. This includes your name, your title and position, the name of the company, address, as well as the contact number and email. 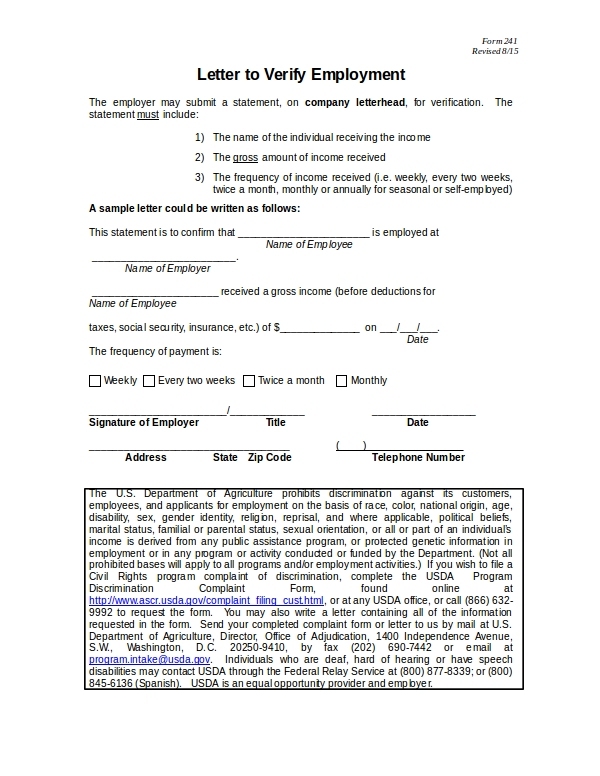 In the next section, you address the receiver of the letter—the one asking the employee his or her salary verification letter. In the same manner you write your info as the sender, you include also the recipient’s full name with title, address, the company he or she is working, as well as the contact information. The content or body of the letter should indicate that the employee is working in the same company as yours, and for how long, as well as his salary. 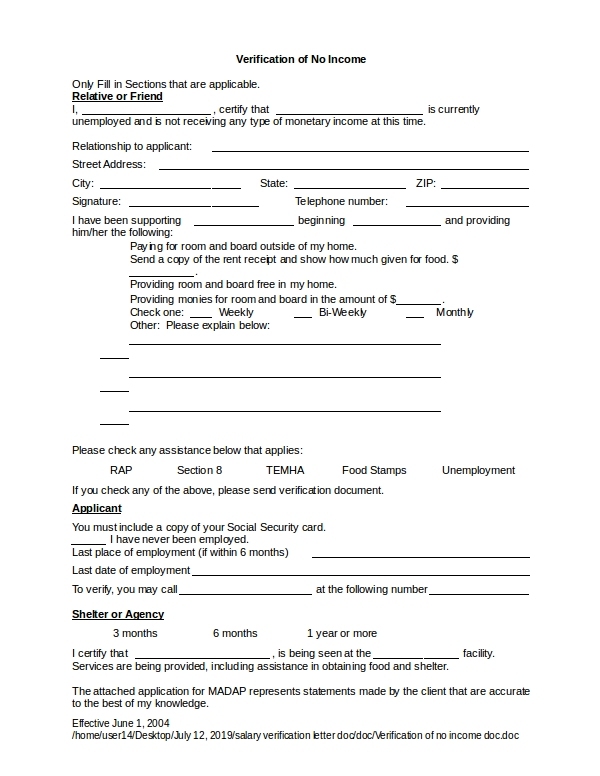 Try to sound nice by saying at the end of the letter that the recipient may contact you for further info. Then back to your name as the author of the letter, with a signature. The usual “Sincerely yours” will do just fine. Can a company, whether current or past, disclose your salary to other institution or party? Yes, as long as it is done in a respectful manner, without harming the employee. Salary disclosure is very important as it gives two parties the gauge on how to continue in on-going transactions. Is it necessary that a loan agency should know my salary? When you apply for a loan, car loan, a house or an apartment loan, the agency usually needs to know the employee’s capacity to pay as having a mere employment would not guarantee. If you insist on not showing them your salary verification letter, then by no means you were to convince them to approve your loan application. It is just a standard operating procedure. Who should compose the content of the salary verification letter, the employee or the manager or HR? Usually, it should be coming from the company. They have been doing this to many employees, so creating one document would just be a flick of a finger to them. 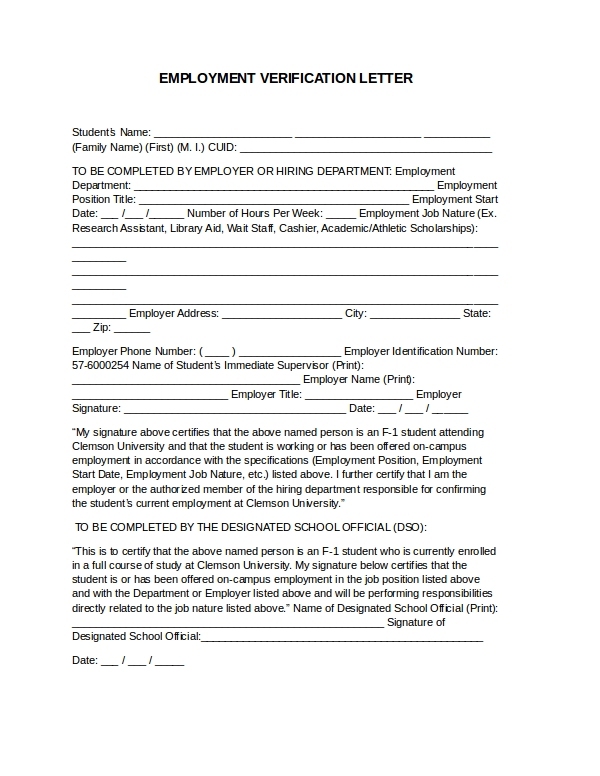 But if the employee has a template already, he or she may only need to ask the manager to fill in the necessary information to complete the letter. Of course, with the signature as well. Should I need to write a letter when requesting for a salary verification letter? You do not have to. In most cases, it is done orally and does not need to be documented. But if you do, it would add points to your character. It may say a good thing about you. But that is up to you because you can just simply tell your boss while you two are inside the washing area. Who should I ask, the HR staff or the manager? You may ask any of the two. It is unwritten in any company code of conduct. But the HR would be the most convenient as they always handle the documents needed in whatever transactions. And the manager may only do the signature. There are some examples that can be found online should you want more sophisticated designs. But always remember, the most important thing in a salary verification letter is sincerity. By sincerity, we mean what is written in the letter is true.